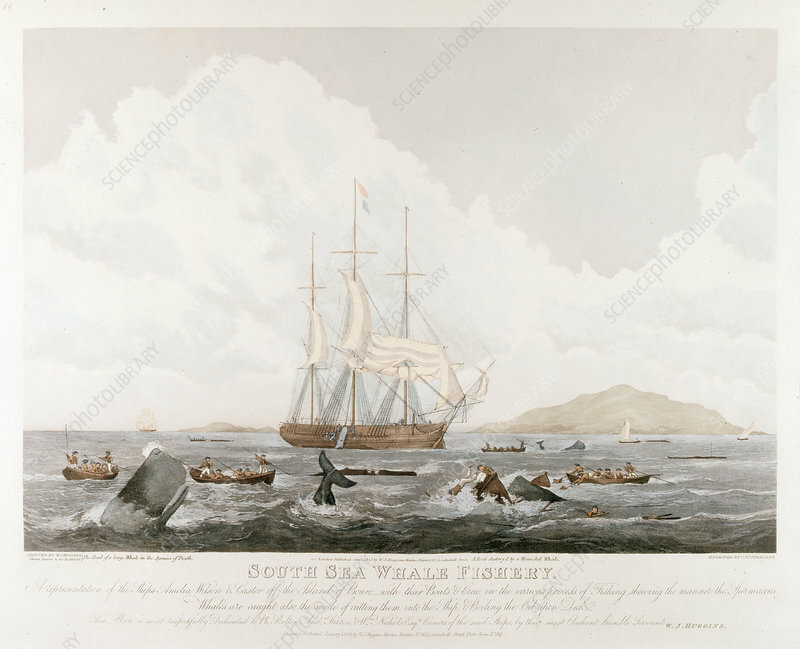 South Sea Whale Fishery, 1825. Wilson' and 'Castor' off Buoro. Factory ship at anchor while crew in boats harpoon Sperm Whales.